The old block wasn’t properly winterized and it cracked. 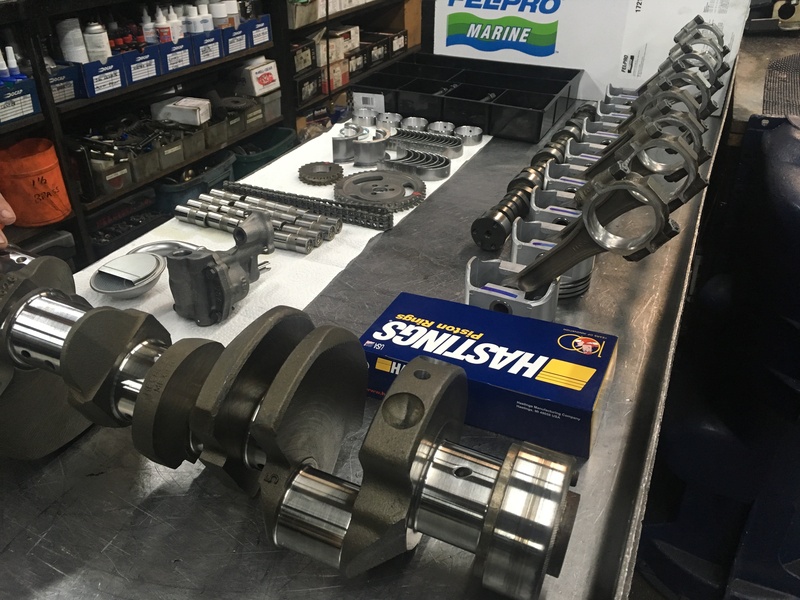 Power is an essential part of your power boating experience, but when your engine gets sick, you’re faced with the dilemma of buying a new one or repairing the old one. 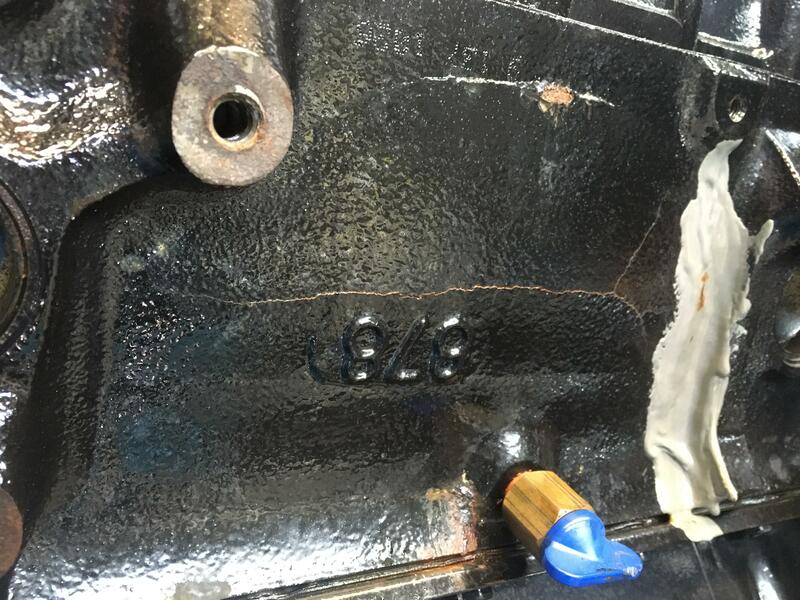 In some cases, especially on older boats, the cost to repair an engine isn’t worth the time and effort versus buying new. You’re likely better off buying something else if your engine is a late model and requires parts that are no longer manufactured since you’re looking at building everything from scratch. On the other hand, if that doesn’t apply to you, you could save a bundle by repairing or rebuilding your existing engine. If it’s done right, that is. I overheard someone at my marina talking about having their engine rebuilt at CrossTown Engines in Toronto. The Mangov brothers, Lou and Jim, continue the business and tradition started by their father more than 50 years ago. Interest piqued, we gave them a call and asked to follow along on a project they were undertaking. 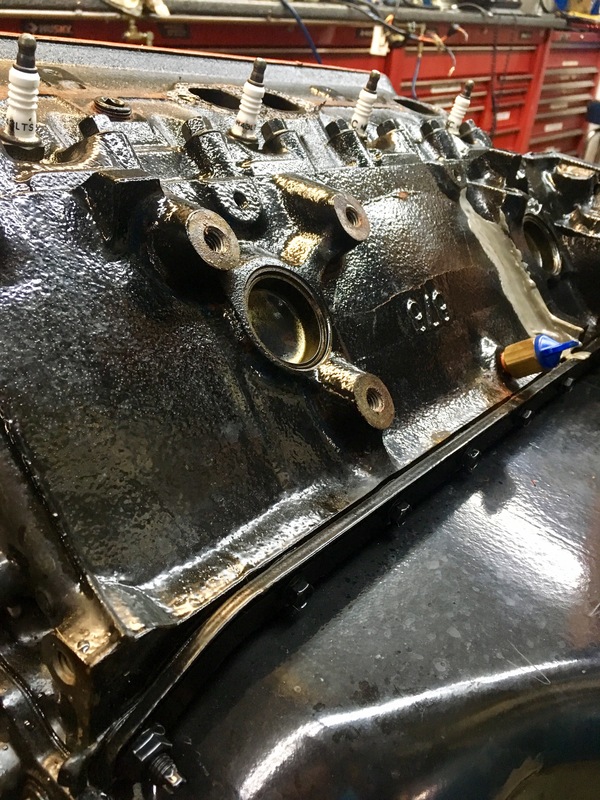 It turns out, they had just received a 5.0-litre MerCruiser engine with a cracked block after having not been properly winterized. To begin this project, Jim stripped off the external components systematically. Depending on the engine this can take a couple hours. It would take me a few days. Watching Jim go is like watching a 1980s movie montage. This type of problem is very common. Apart from the visual inspection where even I can diagnose the problem, they give everything a thorough check. 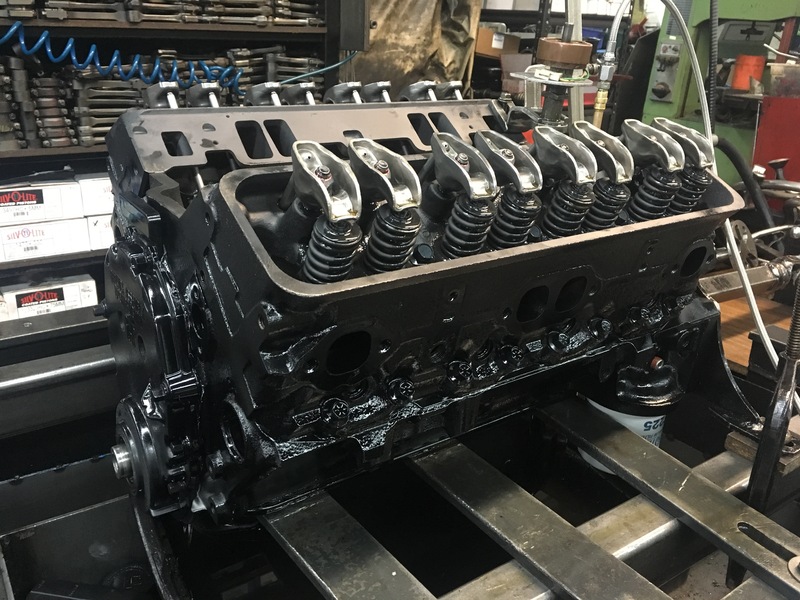 When it’s all stripped down, the fabrication of a new long block assembly is next. Most of which is done in house. Lou has his system down pat. I thought he had laid out the parts on the table just for the benefit of our cameras. I mean, it looked like a display at a trade show! But no, this is just how he operates. That’s after about 8-10 man hours from disassembly through machine. 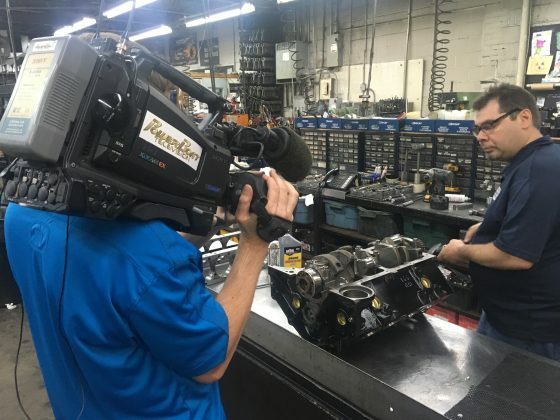 Once the engine is all put together, they put it on their self-built machine to test it. The hydraulic motor spins the engine at 450 RPM. They monitor oil pressure and check compression to make sure everything is functioning properly. He also checked for oil leaks. 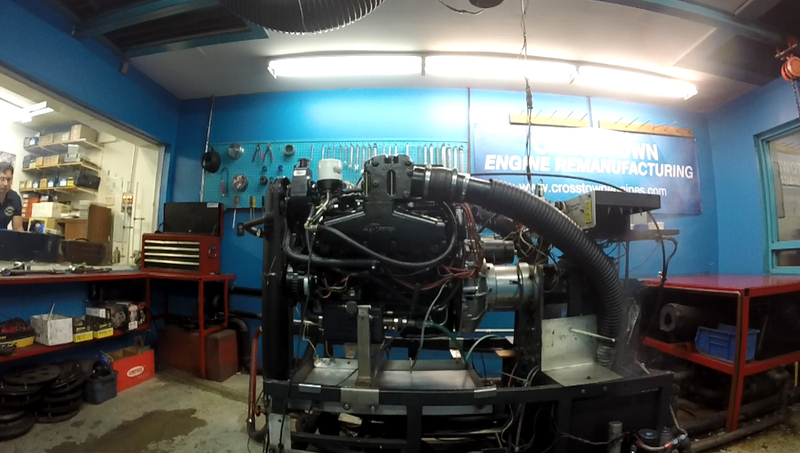 Seeing none, it went back to Jim to reassemble before dyno testing. 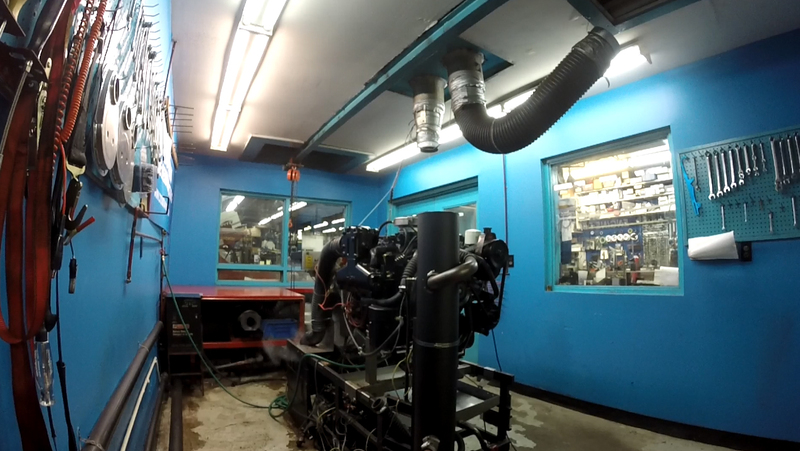 Dyno testing is the final step before it goes back to the customer. Well, it should be if all goes well. Looking like a mini control room, we walked into an area with a couple of computers, light-up switches on the wall and a throttle with digital readouts — separated from the engine by reinforced glass. It’s in place should there be a catastrophic failure. Not only is the engine lined up with the dyno computers, Jim had a laptop hooked up to the engine’s ECM. 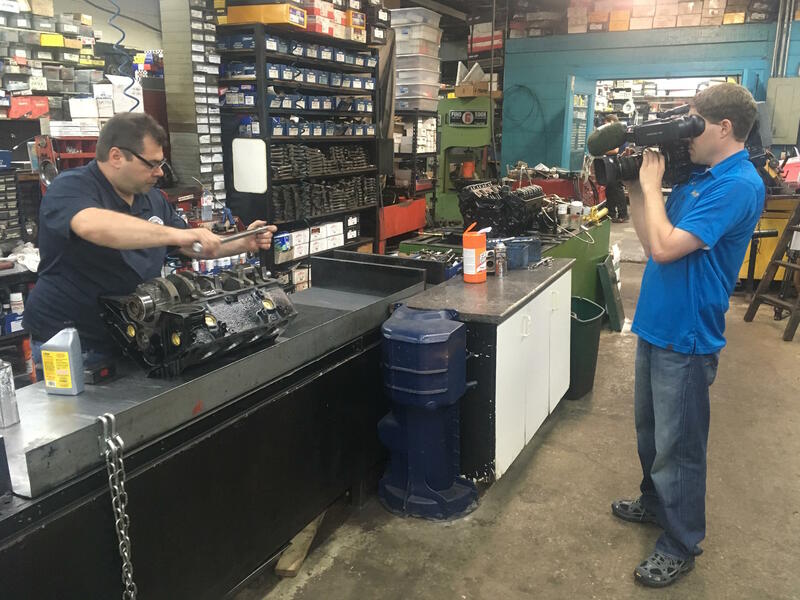 “That way I can monitor everything going on, and if any trouble codes pop up in the engine’s computer, I’ll catch it,” he said. Every engine has different targets, so they reference the specific outputs for this engine as per MerCruiser. It fired up like a charm and Jim used the throttle to rev it up and down. Instantly the readouts started popping up on the computer and it was bang on the targets. On the one hand I was impressed, but on the other, if you’ve done this 13,000 times you’re probably going to knock it out of the park more often than not. The owner of this particular boat wanted privacy (likely due to some embarrassment from the winterization boo boo) so we didn’t go see it run when it was back in the water. It did check every box it needed to during the dyno testing, so as long as the marina put it back in properly, this used engine will run better than it did before it cracked. The Mangov brothers are great guys and they clearly do great work. I just hope to never need to make use of their services (read: I better do a proper winterization). Then again, if something unforeseen happens, my engine could always be number 13,001! Lou’s set up is more than just aesthetically pleasing. It helps him efficiently reassemble. 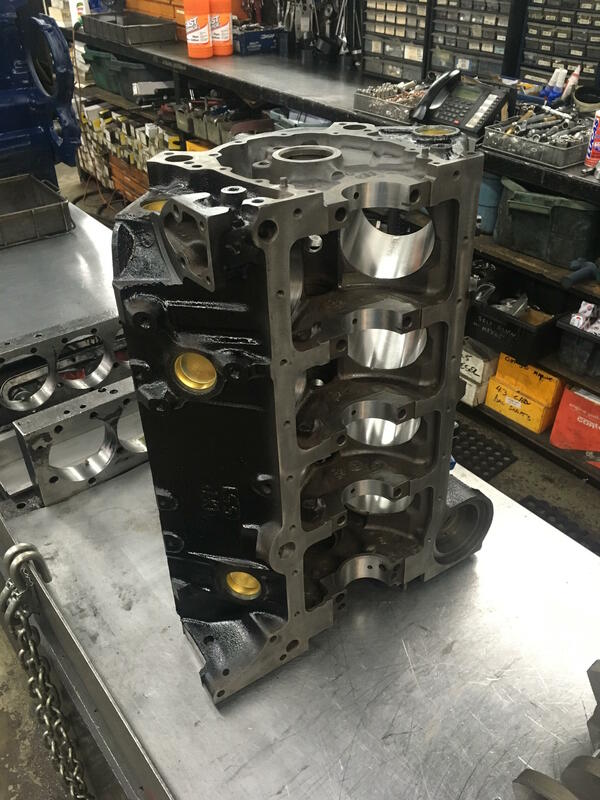 The new block, freshly machined, bored and cleaned, waiting for reassembly. The old block wasn’t properly winterized and it cracked. Not to mention the weak attempt to fix a previous problem. 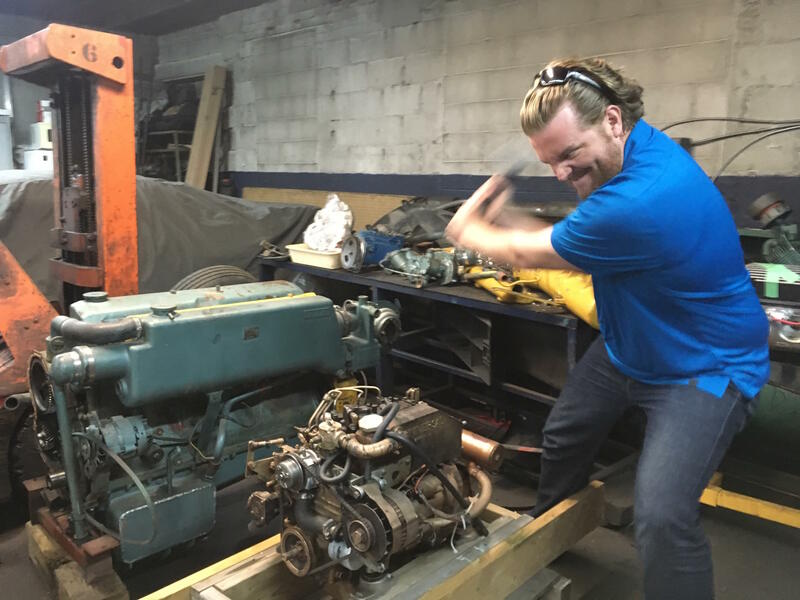 I found a hammer lying around so I went to work to help disassemble some other engines they had in the shop. I was not asked to help anymore. 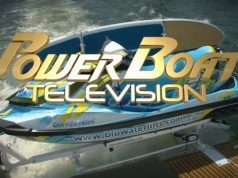 This My Boat Project is featured in the 2018 season of PowerBoat Television and the Winter 2018 issue of Boats&Places.